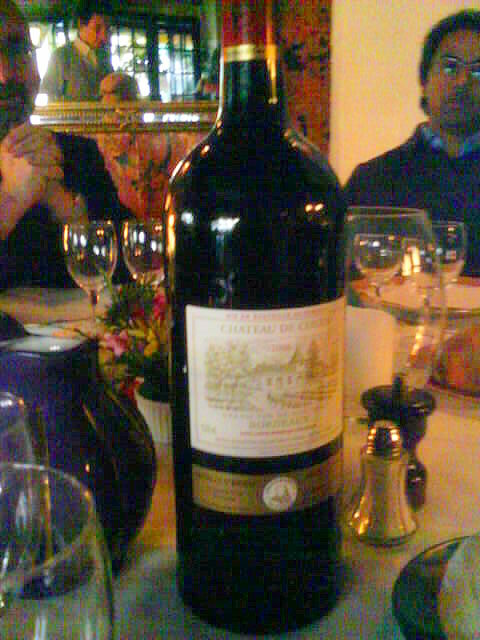 For the entire table of wine bottle sizes, Wiki has this pretty good link. This entry was posted in Alcohol, Uncategorized and tagged Alcohol, Bordeaux, Juiced-box, Neil Diamond mp3, Red Red Wine mp3, Tips & Change, wine. Bookmark the permalink. Oh, I thought from the title you were really pissed, and were drinking from a condom. Yeah, was trying to figure out how (and why) you’d drink from a gun. I would hope you made a good impression on you client by wiping the mouth off before passing it around. How great it is to see you here! Thanks for stopping by, brother. While i’ve never drunk from a condom—well, alcohol anyway [JUST KIDDING]— it sounds like something an alcoholic should do at least once in their life. Maybe i’ll be able to work that into a short story some time. You guys know me…it’s all about the writing. If i can find a catchy title, i’ll go with it every time. Well, you could put some vodka in there and call it a White Russian. Yeah, okay, my comment goes over like a lead weight, I am sure, lol. You all have already outwitted me with this post and comments. Actually, i toyed with the idea of Magnum Permanently Intoxicated, but then i knew i could count on you to go there so i wouldn’t have to. Thanks for having my back, babe!